Give your Amazon Echo / Dot the power of the Force! 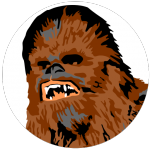 We have worked on the great new system Gomix to make Chewy, a new Alexa skill which will answer your Star Wars questions using Wookieepedia! What’s more it’s super easy to remix this project ( https://gomix.com/#!/project/chewy ) to make Alexa answer the world’s questions about your own favourite game / movie / TV show etc. We are now a featured project on Gomix. Thanks to our John for the wonderful logo.